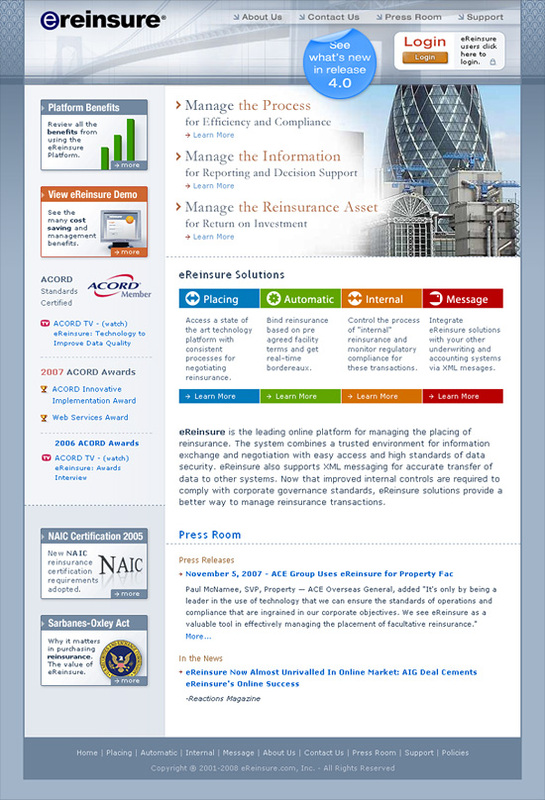 eReinsure is the leading online platform for managing the placing of reinsurance. The system combines a trusted environment for information exchange and negotiation. Copyright © 1998-2008 TimoDesign. All rights reserved.